Active 55+ Community Located On Beautiful Lake Conley. Live The Florida Dream! This Is A Private, Gated, Well Managed, Pristine Community With Many Amenities. 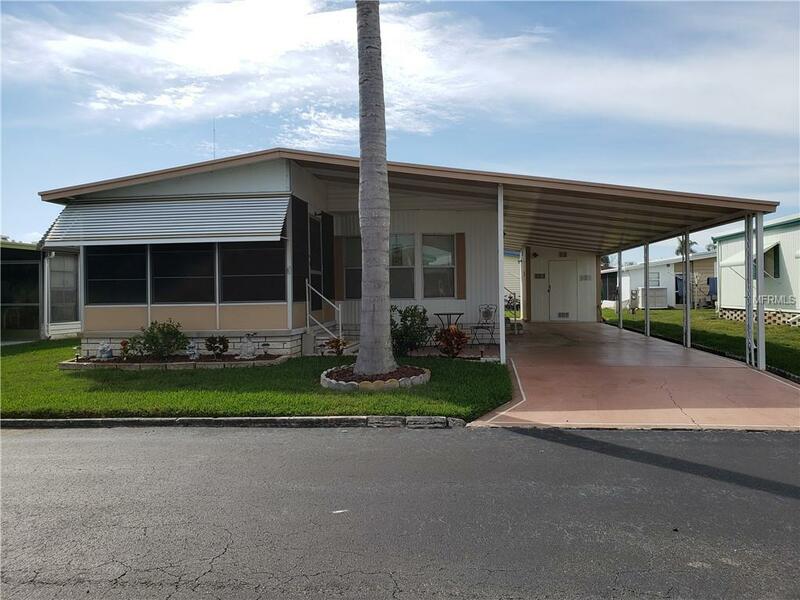 Located Near Beautiful Parks, Beaches, Restaurants, Entertainment, Shopping And Approximately 3 Miles To The World Famous Sponge Docks In Tarpon Springs. Comes COMPLETELY FURNISHED With A Fully Equipped Kitchen, All Appliances, And Even 2 Bicycles! Outside Storage With Built In Shelves, A Washer, And Water Softener. Large Kitchen With A Closet Pantry, Plenty Of Counter Space, And Lots Of Cabinets. Formal Dining Room With A Built In Hutch And Bay Windows. Light And Bright With Many Windows Throughout And Ceiling Fans In Almost Every Room. Laminate Flooring with Carpet In The Bedrooms. Both Bedrooms Have Walk In Closets. 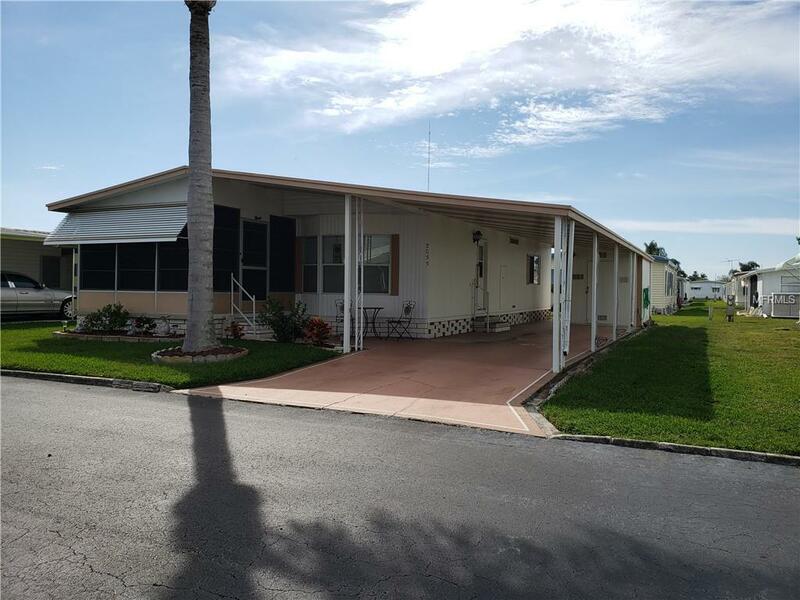 The Enclosed Front Porch Is Off Of The Living Room And Is With Tile Floors, Lots Of Windows, And The Door Opens To The Covered Front Porch Area. Has a Metal Roof. Recently Power Washed. 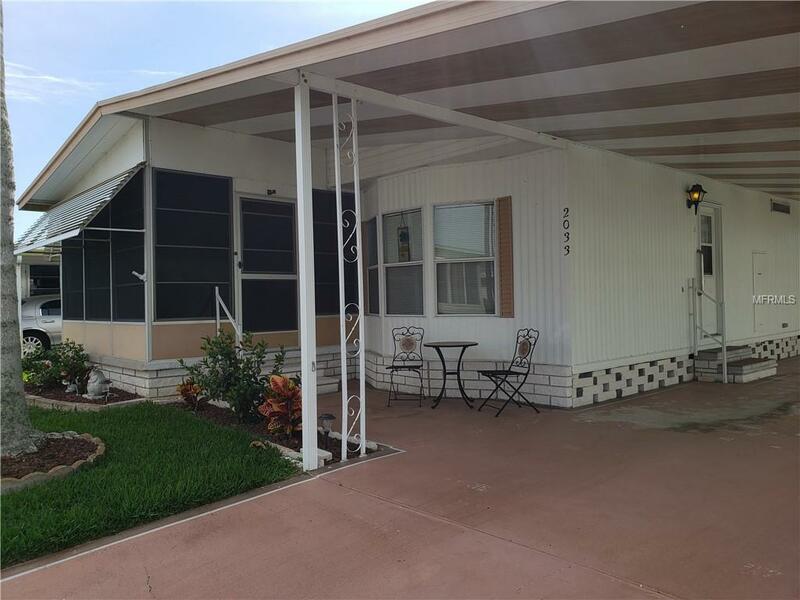 This Well-Kept And Gently Used Manufactured Home Has Been A Winter/Vacation Home For The Current Owner. Low Taxes and Best of All...NO LOT RENT! 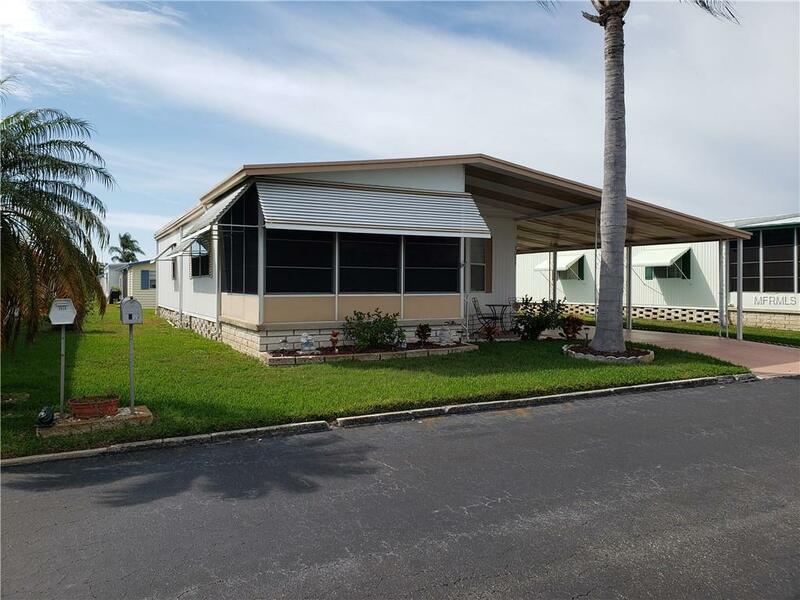 On-Site Parking Area For A Small Fee For Your RV Or Boat, A Community Boat Ramp, And Fishing Pier...Enjoy Great Fishing, Water Sports, Bird Watching, And Beautiful Sunsets. Many Amenities Include The Security Gate, Heated Community Pool, Shuffleboards, Horse Shoe Court, Library, Many Social Gatherings, Parties, And Dances At The Clubhouse. This is a Must See! Pet Restrictions Family Pets But No Exotic Animals. While On Streets Must Be On A Leash And Must Pick Up After Your Pet(S). See Rules And Regulations For More information.